The good news? I’ve found the shoe I absolutely have to have in my closet this season. The bad news? I want about 25 different pairs. So what is this mythical shoe, you may ask? It’s none other than the flat espadrille. Check out some of the styles I’ll be adding to my wardrobe after the jump. 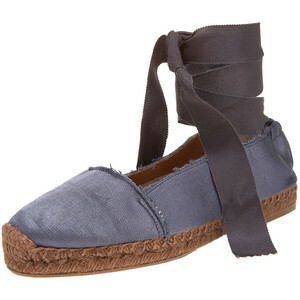 3.1 Phillip Lim Espie Espadrille Flat ($275 at bergdorfgoodman.com): The luxuriousness of leather paired with the casualness of jute? Perfection. Diane von Furstenberg Cadence Espadrille Flat ($98 at nordstrom.com): What a fun graphic print -- so perfect against summer whites. 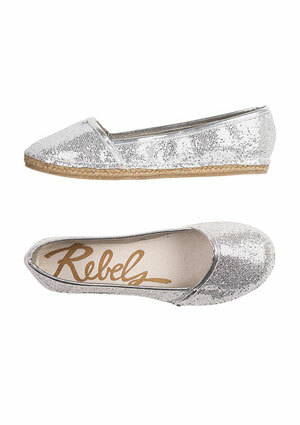 Rebels Rascal Espadrille Flat ($34.50 at delias.com): Because there's just nothing more glamorous than gleaming silver. 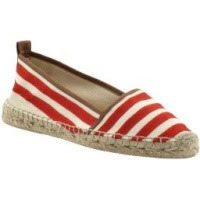 Kate Spade Lido Espadrille Flat ($98 at piperlime.com): There's just no better way to wear a power color. With this hand-stitched pair by my side, I'm so ready to be a prima ballerina. 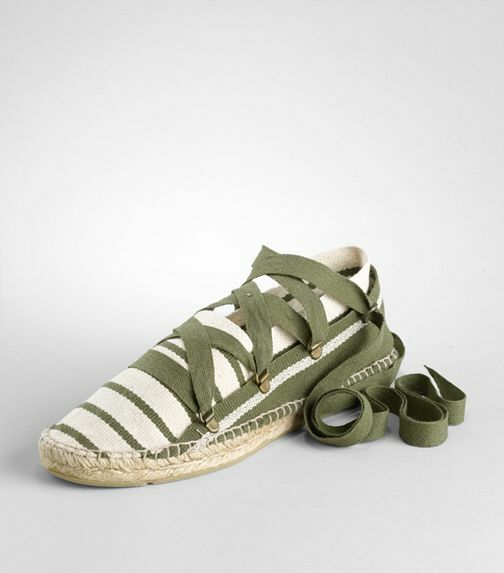 Tory Burch Striped Lace-Up Espadrille ($135 at toryburch.com): I have a thing for stripes! The olive green of this pair evokes such military-inspired cool. Very cool takes on the classic espadrille, especially the Phillip Lim. Modern, simple, and sophisticated, but still casual. Love it!